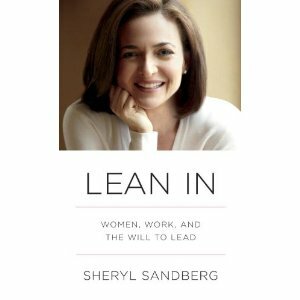 A few days ago I came across an article about Sheryl Sanberg's new book "Lean In" and I immediately took notice. I love books like this and more so when the writer is the COO of Facebook. My take on it was that I'd rather have someone who is really successful give me advice, than someone mediocre. Is that bad? I think it's the same reason we as a nation have flocked to Oprah, watched her show, read her magazine, took her advice, followed her money guru Suze Orman and followed the health advice of Dr. Oz. As people we assume that someone more successful than us has the answers to success. The big controversy about Sandberg's book and something that was pointed out by Anne-Marie Slaughter, once a senior adviser to Secretary of State Hillary Clinton, is that Sandberg is 1. blaming women for not "leaning in" enough and 2. that Sandberg really can't relate to the typical working woman with her huge salary and her house of servants. Critics have said that Sandberg needs to make corporations and government agencies accountable too and that we need to provide more incentives to new moms to return back to the workforce. First of all let me make it clear that I have not read the book so I am making this commentary based on my experience of working in Corporate America for the past 20 years and on others' commentary. I thought long about this. I remember reading Slaughter's Atlantic article telling me that I can't have it all, but thinking that I still wanted it all. So yes, I am torn. I can relate to what both women are saying and yes, I have leaned out many times, especially when I was married and the children were young. Thinking about Slaughter's point I know what she means because even though I was working and making a very good living, when I was married my husband was a blue collar worker that couldn't share in the responsibility as much as I would have liked. He went into work at some ungodly hour like 5 and worked until after 5 many times. He did not have the flexibility that I had, so it fell on me to take the kids to the sitter's and then to school. So how could I lean in? This advice wouldn't have been relevant to me then. I posted the original article that I read in the New York Times on a Facebook group that I belong to called LLN, Latina Leadership Network. I received some interesting comments but one stuck with me especially. Mari Beck said that she feels "some frustration at the way society looks at successful women in leadership roles and tries to dictate which types of success are more acceptable. I don't see Donald Trump or Richard Branson measured by their household help roster or their ability to relate directly to the average man or whether they "get" them." She has a really good point doesn't she? Why do we have to have these wars on what is good advice and what isn't? Do we say that Oprah can't relate to us because she's a billionaire? Or that she can because she didn't start out as one? Yes, Sandberg went to Harvard, but she wasn't as rich or successful back then. Why can't we just take Sandberg's advice without making excuses or passing judgment? Today I read another opinion by Whitney Johnson on the Huffington Post that offered a different opinion. I loved her honest opinion because I could relate to so much that she said. 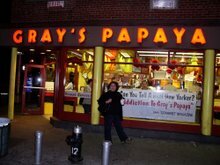 I have been there so many times in the past 20 years. I have seen the different way that we are treated as women or even as a Hispanic woman. Some things are obvious and some things I see because I'm more aware of those things having studied the differences in gender and communication for my MA. Now that my kids are older and that I'm divorced I'm trying very hard to lean in. Ironically I feel like I can lean in more now that I'm divorced than when I was married. But now I'm older and I can feel that difference too. I'm an older Hispanic woman now. Triple whammy! Yes, there's a chance that I may have lost my chance to lean in. Am I going to let that hold me back? No, I don't think so. My friend has a great quote posted on her wall on FB. "This is not how the story ends." In many ways I think this is where it will begin for me. So yes, I plan to lean in some more. Yes, I will probably read the book and join in on the conversation on Facebook and Twitter. Yes, I may even join a group. Why not? What can it hurt? I think it will help me more than hurt me. Let's support each other as women. If someone wants to "lean out" and that makes them happy then don't criticize them for that. If they want to lean in, then support that decision. Especially if you're the spouse or a family member that is part of their "village." Because when it comes down to it that's the way we can all lean in, if we have a support network. And when a woman becomes more successful and she is happier then we as a community are better too. It's all part of an even bigger picture. So I say yes, let's lean in and believe that we can have it all, if that's what we choose. I still believe. Warning: This special blog will be in Spanish today. Crecí en una casa bilingüe. Desde el tiempo cuando nací mis padres me hablaban en español y mis hermanas mayores me hablaban en ingles. Mis primeras palabras eran en los dos idiomas a la misma vez. Cuando oigo historias de niños que se confunden o que se atrasaron el la escuela porque eran bilingüe no entiendo porque eso no me paso a mi. Posiblemente era porque pude hacer una separación de una edad muy pequeña- que hablaba español con mis padres y con mis hermanas en ingles. No se de seguro si esta es la razón pero mis hermanas y mi padre me dicen que de primero yo mezclaba los dos idiomas cuando hablaba. Tanto que mi propio papá no me entendía. Cuando comencé Kínder mi maestra vio que yo era una niña muy lista y pronto me puso en el grupo de estudiantes que iban a aprender a leer en ingles. Fui a casa muy contenta a platicarles a mis papás. Mi papá me dijo que si iba a aprender a leer en ingles también podía aprender a leer en español. Así comenzaron las lecciones de leer y escribir en español a la misma vez. Después, estudie el español en la secundaria y la preparatoria también. Yo entiendo que mi situación fue muy especial. Mis padres hicieron un verdadero esfuerzo para asegurarse que yo aprendiera a hablar el español correcto. No todos los padres en los Estado Unidos hacen eso. Si, hay muchos que posiblemente lo hacen, pero no todos. Lo que es mas, asistíamos a una congregación de nuestra religión en español y mientras fui creciendo yo tenía que dar mis discursos en español. Los tenía que escribir y hacer la presentación en español. Era como una clase de dar oraciones porque el anciano nos daba critica en que podíamos desarrollarnos. Otra cosa que es mas común es que crecí en Texas y creciendo en Texas no te puedes escapar de las expresiones Tejanas. Así que no importante que tanto mis padres trataron de inculcar un español correcto, también aprendí las palabras incorrectas y Tejanas pero aparentemente no las palabras que usaban las chicas cuando yo estaba de muchacha. Cuando era una chica de unos catorce años estaba con unas chicas en un pueblo en el estado de Nuevo León llamado Montemorelos. Allí es donde creció mi mamá. Estaba en una sala de la casa de unas de las chicas cuando una de ellas ya no podía contener la risa y se rio de mi. Mi amiga Gabby le pregunto porque se reía y ella dijo que era porque yo hablaba de un modo muy correcto y chistoso. Mi amiga le dijo que era porque yo no era Mexicana de Mexico, que yo era Mexicana Americana. Me acuerdo que en ese momento me sentí como que en verdad yo no hablaba el español normal. De allí en adelante me di cuenta que entre mis padres, mi congregación y la escuela, yo estaba aprendiendo un español muy cortes, que no era como el de la calle. Me dio un poco de tristeza, como que en verdad no sabia hablar el español en verdad. Como que era un español artificial y estéril. Aquí estoy muchos anos después. Ayer me junte con una señora venezolana que es la dueña de una cuenta que tengo. A ella le encanta que yo hablo español, que le puedo escribir correos electrónicos en español y que podemos comunicarnos con facilidad. Conocí ayer a su nuevo esposo y él también es venezolano. Solo tiene seis meses aquí y quedo impresionado que yo crecí aquí en Houston y que hablo el español tan bien. Le dije que en verdad creo que esto es porque cuando estoy hablando en español estoy pensando en español y así es como sé que si se hablar bien el español. Solamente pienso en ingles cuando me atoro y no puedo pensar en la palabra que necesito. Pero no me di cuenta de esto hasta ahora que soy mucho mas mayor. Yo sé que mi español no es perfecto y hay algunas expresiones que no se bien o que he usado mal toda la vida, pero en general creo que lo hablo bien. Me da tanto gusto que mis papas hicieron un esfuerzo tan serio en asegurarse que yo aprendiera bien el español. Cuando era joven lo daba por hecho y no pensé como me iba a ayudar en mi vida profesional en el futuro. 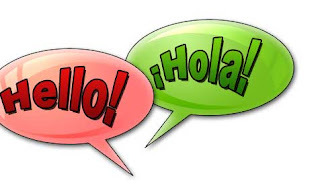 Como dijeron ayer mis clientes, cuando piensas en todos los países del mundo que hablan español e ingles, si uno habla los dos idiomas habla los idiomas que habla casi todo el mundo. Gracias Mamá y Papá por este don que me dieron. I've written a lot lately about disproportionate funding in HISD and two of the things that bother me the most about this sad situation is the fact that Jefferson Elementary doesn't have a nurse or a library. Both are equally important in my book. This week I was happy to learn about the Carson Reading Room at Jefferson that just opened this past fall. I had a chance to meet one of Seth's assistant principals on Friday and she asked if I had time to see the Carson Reading Room. She asked if I knew who Dr. Ben Carson was and I'm ashamed to say that I didn't, considering that he was the keynote speaker at the 2013 National Prayer Breakfast just this month and a lot has been said about that. Dr. Carson and his wife run the Carson Scholars Fund and with the help of the Hearst Foundation they sponsor Carson Reading Rooms around the nation. Jefferson Elementary is one of only three schools in Houston who received a Carson Reading Room. The other two are close by in the northside of Houston, Looscan and Clemente Martinez Elementary Schools. The Carson Reading Room at Jefferson is beautiful! 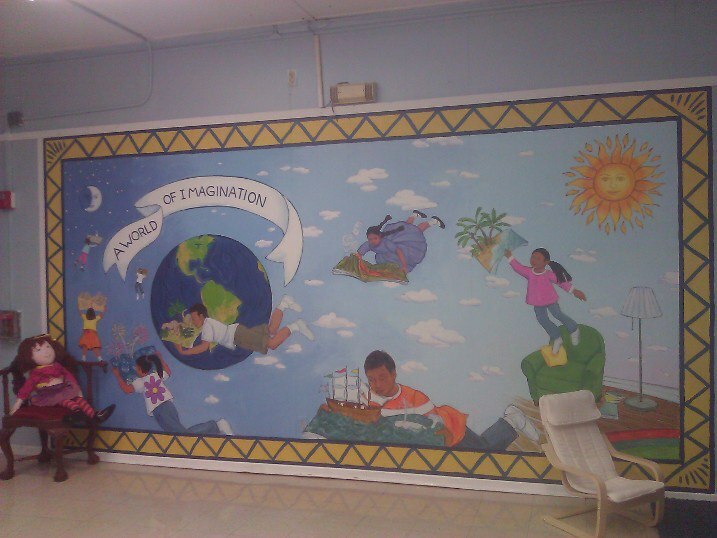 There is a mural on the wall painted by local artist, Kay Sarver. She also painted the welcome sign outside. 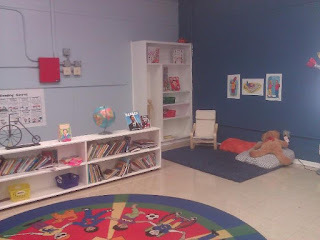 It's a comfortable, warm space where children can curl up with a book. The sofa and the pillows in the corners looked so inviting that I wished I didn't have to go back to work so soon. It was wonderful to see a room that is every bit as great as a library. 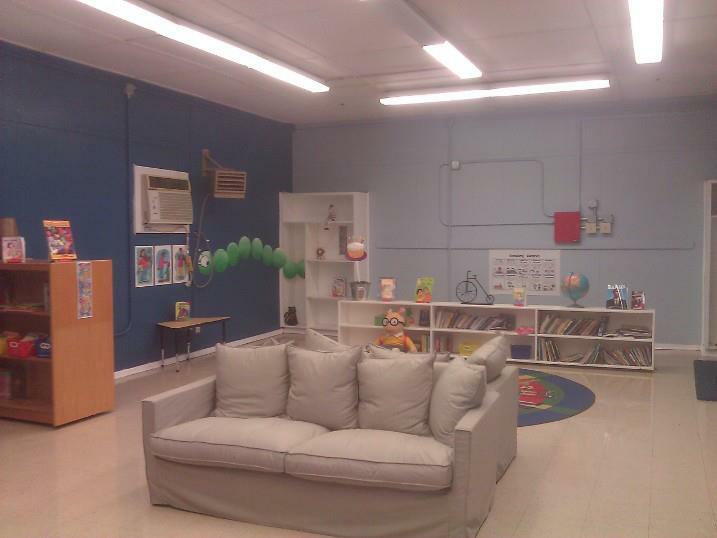 Ms. White told me about the beautiful mural and the local artist Kay Sarver and how the dads who meet once a month with the principal for Donuts for Dads painted the room. I asked her if they take donations and she said that they do. I told her that I just recently cleaned out the kids' room and I have 3 stacks of books. She said they would be happy to take any books I wanted to donate. I was so excited to learn about the Carson Reading Room and more about Dr. Carson's inspiring story. He was raised in poverty and overcame adversity to become a successful surgeon and was awarded the Presidential Medal of Freedom. 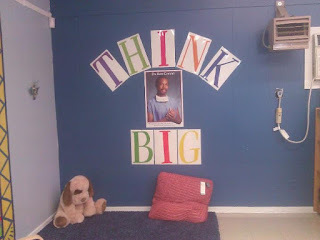 He understands that students at schools like Jefferson need all the help and encouragment they can get to read and that they need a space to do this. 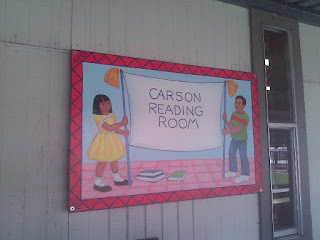 If you want to donate to the Carson Reading Room at Jefferson, either books or money, contact principal Mr. Hamilton or Ms. White at Jefferson Elementary. The children at Jefferson will really appreciate it. How About the Race and Ethnicity of Teachers? Now I'm going to broach a subject that not many are comfortable discussing but as the saying goes, "out of the mouths of babes." Kids are way more honest in their assessment of life and they are not caught up on what is politically correct. As many parents know, that can be a two edged sword. On one hand you appreciate your child's candid innocence and on the other hand, others may not. We had just dropped off Seth at school a few weeks ago and I asked my daughter Miranda a question. Do you think that Seth's teachers at Jefferson understand him better than his teachers at Oak Forest because they are African American? I pondered on what Miranda had said. She felt like the African American teacher was the best teacher and the most understanding of all her teachers. Was this because as a minority this teacher had a different point of view or understanding of all her students? I immediately thought of an interview with Samuel Jackson that I read in American Way magazine a few years ago. He was explaining why he could play a character that was originally written for a white man and he said that the reason he could do this was because as a black man he had learned how to act like a white man. As a Hispanic woman in a majority white workplace I could relate to what he was saying. Could it be that minority teachers find it easier to relate to different ethnicities and backgrounds because they themselves come from a different culture and have learned to be adapt to different situations? I researched this question and I found several articles that have been written on the subject. One article entitled "How Race Matters in the Classroom" said, "In a perfect world, the race of a teacher would matter no more than the race of a physician. However, research evidence suggests that cultural differences between teachers and students may account for key differences between the schooling experiences of black and white students." I think about the movie Stand and Deliver and the students of Garfield High School. 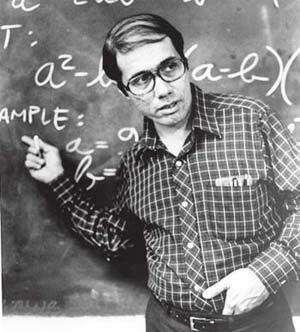 Their Anglo teachers did not have the same expectations of the students that Escalante had when he started teaching them advanced math. I don't think that Hispanic children should only have Hispanic teachers or that African American students should only have African American teachers. But I don't think that they should have mostly white teachers. I could have chosen Roosevelt Vanguard as my first choice school for elementary and saved myself the drive, but I knew that the school was something like 90% Hispanic. We're already Hispanic, she would have had that experience by virtue of being Hispanic. For the same reason I chose a mostly African American congregation over the one we were actually zoned to because I wanted for the children to have a diverse experience. I feel the same way about teachers. In a perfect world our teachers should reflect the same diversity of their classrooms but sadly they don't. I think it's important that the children experience all races and ethnicities not only with their peers, but also with their educators. Writer Victor Landa brings up some important points in his article "Wanted: More Good Latino Teachers." Yes, what we need are really "good, committed, creative teachers" but we also need more Latino teachers in HISD, where 62% of the students are Hispanic. Our teachers need to reflect the diversity of our school district, city, state and our country.